James W. Greenfield, The Time Machine. 89 minutes. Starring Don McCorkindale, Michael Orenstein, Nathan Nasby, Juliet Lyons. $14.99. Apparently inspired by Jeff Wayne’s War of the Worlds, audio engineer/musician Greenfield’s double album takes H.G. 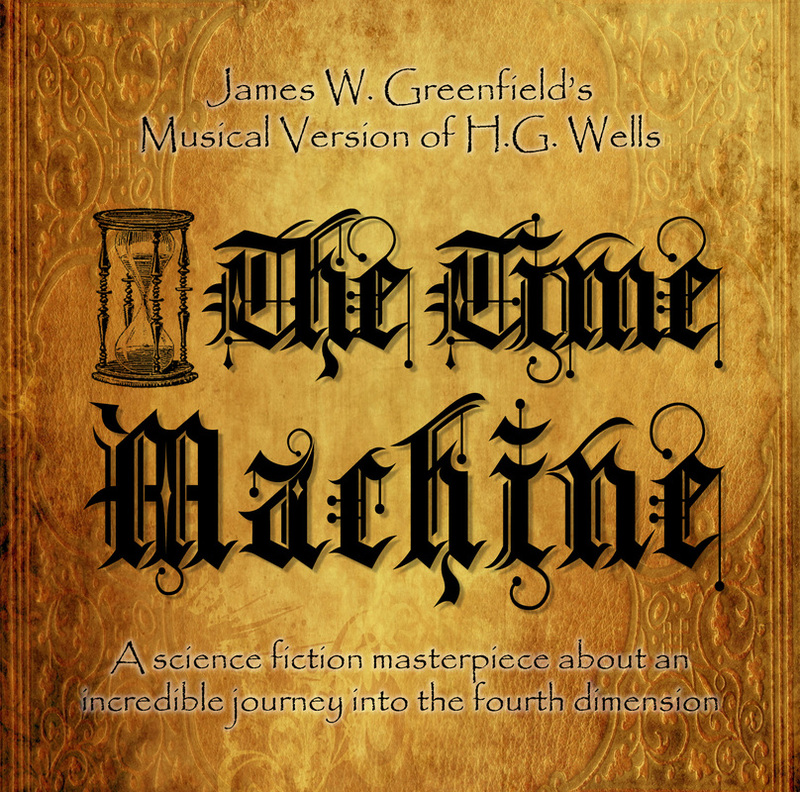 Wells’s The Time Machine and re-interprets it as a musical project, loosely adapting the text and offering musical interpretations. 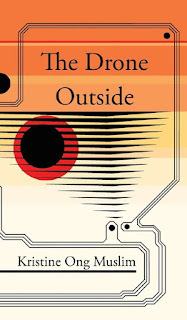 Kristine Ong Muslim, The Drone Outside. Eibonvale Chapbook Line #1, 2017. Pp. 49. ISBN 978-1-908125-53-8. £6.00 pb/£12.00 hc. Eibonvale Press have started a line of Chapbooks to complement their high-quality catalogue of speculative fiction novels and story collections, kicking off with this volume of nine interrelated flash stories by Philippine author and poet Kristine Ong Muslim. The Drone Outside is a series of snippets of life during or after the apocalypse, told from unusual points of view, or with surreal narrative, or or evidencing unexpected scenarios of death, destruction and post-humanity. 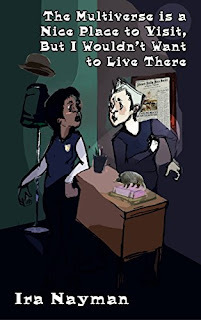 There are several threads that weave and recur through this small book, but ultimately it does not tell a single story with a plot arc and satisfactory dénouement, there are no real POV characters or protagonists. These are all prose stories, but at times the writing reaches the stylized and beautiful heights of Muslim’s science-fictional poetry; at others it is grimly, defiantly prosaic (or dramatic, or epistolary) as the setting requires. The Drone Outside sets a scene, builds an atmosphere, reminds us that the end of humanity is unlikely to be glamorous or exciting or full of Golden-Age heroism and action sequences. Sometimes a lot of fun, always gorgeous and enlightening, but also surprisingly heavy for such short pieces. Ira Nayman, The Multiverse is a Nice Place to Visit, But I Wouldn’t Want to Live There (Book 5 of the Transdimensional Authority series). Elsewhen Press, 2017. Pp. 320. ISBN 978-1-91140-909-0. £9.99 pb/£2.99 e.
A Canadian named Jim Smith finds himself in a place where linear causality has broken down. Three actors performing onstage at Stratford Theatre suddenly swap places with locals from a rustic village. The bridge crew of the Universal Space Armada ship Star Blap are locked in suspended animation, unable to respond to the menace of an approaching Klippon battle-boat. This trio of odd occurrences can mean only one thing: someone’s been facilitating unauthorized travel between the multiverses. But who? And why? Unravelling that particular mystery will require the resources of the Transdimensional Authority, whose investigators promptly set off on a goose-chase of epic proportions.